Welcome to H.P. Lovecraft’s Arkham in the 1920s. 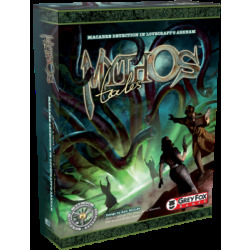 There will be many mysteries to uncover in this storytelling game of Lovecraftian terror. Using the provided newspaper, a list of allies, the directory of Arkham residents, and a map of Arkham, your job is to follow the clues from location to location, suspect to suspect, to unravel the mystery and answer the questions posed at the end of each scenario. 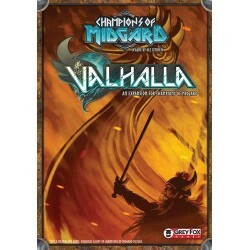 In Valhalla, the second expansion for Champions of Midgard, you will find yourself rewarded when your warriors die in battle. Your warriors' eternal glory becomes your earthly reward as the Valkyries bestow powerful effects, relics, and warriors upon you for use in your battles in Midgard.